Worldwide, millions of kids spends hours a day walking for and collecting water. This takes them out of school, where they are able to gain an education that change their lives for the better. Clean water is essential for kids to lead longer, healthier lives, and to gain the education they need that can break the cycle if poverty. Moreover, clean water and basic sanitation in schools are essential to fostering healthy development and educational achievement in children. When you Stand Up for Clean Water, you Stand Up for Education. 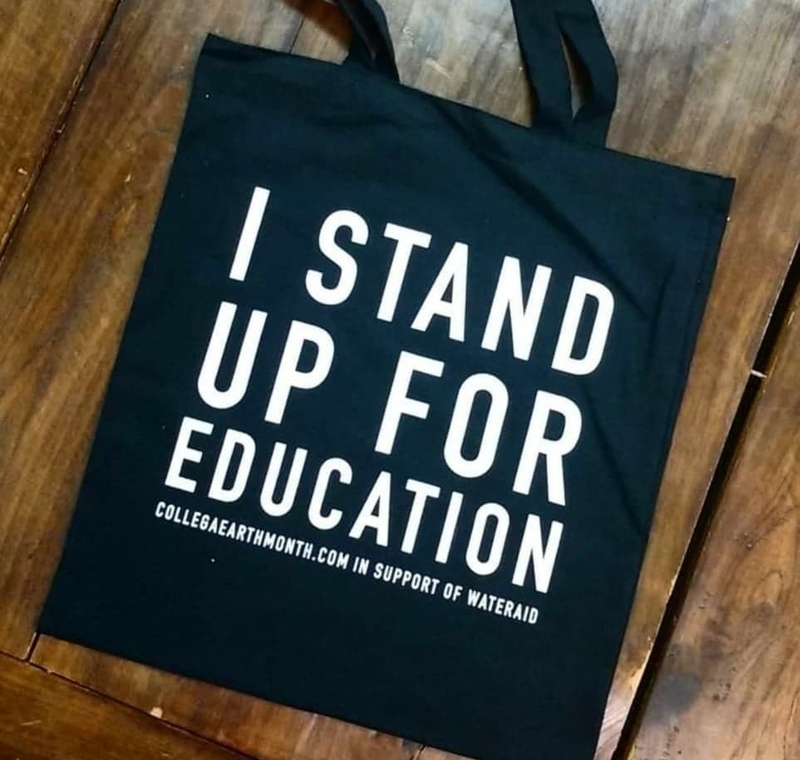 Purchase your limited edition Stand Up for Education tote bag to give kids in Madagascar clean water. All proceeds support WaterAid Canada and clean water projects in Madagascar. Older PostCONGRATS to the Earth Month Prize Winners!